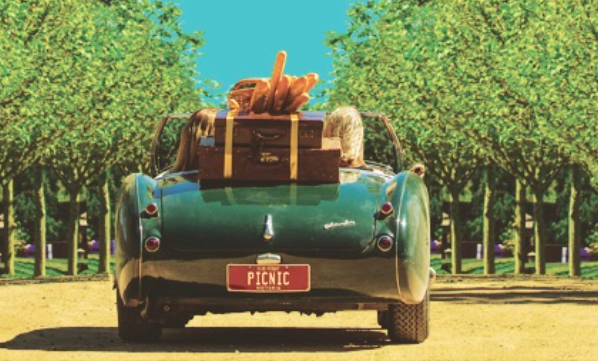 With The Peninsula Picnic fast approaching, we've got a guide with everything you need to know, as well as things you need to do beforehand. With the best in food, wine, music, and culture set to gather on the Mornington Peninsula on Sunday March 29th, you don't want to miss out on this oppurtunity. Taking place at the picturesque Mornington Racecourse, the The Peninsula Picnic will showcase a gourmet selection of perfect picnic options curated by resident chefs including Max Paganoni (Max’s at Red Hill Estate), Barry Davis (Montalto) and recent head chef Daniel Whelan (The Long Table). Modern-European dishes will be created by Rowan and Janine Herrald (Terre) as well as delicious offerings from Matt Wilkinson (Pope Joan) and Ian Curley (The European). If that isn't enough, picnic-goers will also be able to go to the bespoke stalls and buy things such as gourmet cheeses, other antipasto items, and sweet treats. The music is expected to be just as good with The Waifs, Paul Dempsey, the Pierce Brothers, Tinpan Orange and Hayden Calnin all set to appear. Note that metal cutlery and outside glass is not permitted at the event. Mornington Racecourse is located only 45 minutes from Melbourne and at the gateway to the beautiful Mornington Peninsula. On-site parking is available and free on the day. On-site parking is free in the Public Car Park, which can be accessed via Gate 3, 320 Racecourse Road Mornington. Melbourne on the Move is offering coach transfers, from a variety of pick up points to and from the Racecourse, starting in the Melbourne CBD down to Frankston. Prices vary depending on pick up/drop off location and this service must be pre-booked. You can book your tickets here. If you are coming from within the Mornington Peninsula Melbourne on the Move will offer coach service from Sorrento and Rye to the Mornington Racecourse. This service must be pre-booked via Melbourne on the Move. Arrive in rock star style to The Peninsula Picnic in a Microflite helicopter. One way and return flights depart from the Melbourne CBD (Helipad is located near Crown Casino). Enjoy a scenic flight along the beaches to the beautiful Mornington Peninsula. Prices start from $395 per person. For further information and to book click here, or call Microflite on (03) 8587 9700. Recently voted by National Geographic as one of the top places to visit in the world in 2015, the Mornington Peninsula is a great place to play, race and spend a weekend. We’ve taken the hassle out of selecting some of the best accommodation options on the Peninsula. For even more accommodation options, please refer to the official Mornington Peninsula Tourism website. Located at the southern-most tip of Victoria’s Mornington Peninsula, RACV Cape Schanck Resort looks out over rugged Bass Strait and Western Port Bay. In close proximity to local wineries, beaches and attractions, it is the ideal place to stay over Mornington Cup weekend. Accommodation options include ocean view hotel style rooms and self-contained 2 and 3 bedroom villas nestled amongst the golf course. Why not book an extended stay and take time to explore Cape Schanck and the local area? Alternatively, relax on your private balcony overlooking the ocean with a glass of local Pinot. The Flinders Hotel comprises of 40 modern accommodation rooms plus two on-site restaurants catering for fine dining or casual experience. Situated in the heart of Flinders Village, the Flinders Hotel offers guests a place to call home whilst exploring the many delights of the local region. With 53 beautifully appointed rooms, Best Western Plus Brooklands of Mornington offers king size pillow-top beds, private courtyards, free Wi-fi, iPod docking stations and large LCD televisions. The hotel’s restaurant, Eighteen78, combines relaxed dining with fresh flavours to create delicious meals, making the hotel the perfect destination for an all-in-one stay and dining experience. Quest Frankston Serviced Apartments is the ideal base to discover everything the Mornington Peninsula has to offer. With studio and one & two bedroom apartments, Quest Frankston is ideal for singles, couples and families looking for space to unwind, relax and enjoy your stay in style. Welcome to Quest Frankston on the Bay, a brand new, New York-style apartment property finished to the highest of standards and offering modern luxury accommodation. Centrally located in the heart of Frankston’s central business district, Quest Frankston on the Bay is within walking distance to Frankston’s commercial area, beach and entertainment & restaurant precinct. The delights of the Mornington Peninsula are easily accessible by a short drive. This apartment style property caters for travellers looking for safe, secure and luxurious accommodation in Frankston.